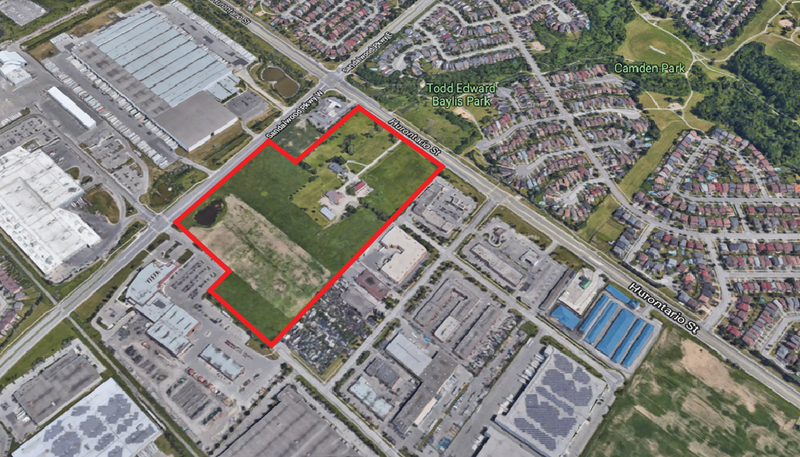 This 30-acre development land is located at the southwest corner of Huontario Street and Sandalwood Parkway in Brampton, Ontario. 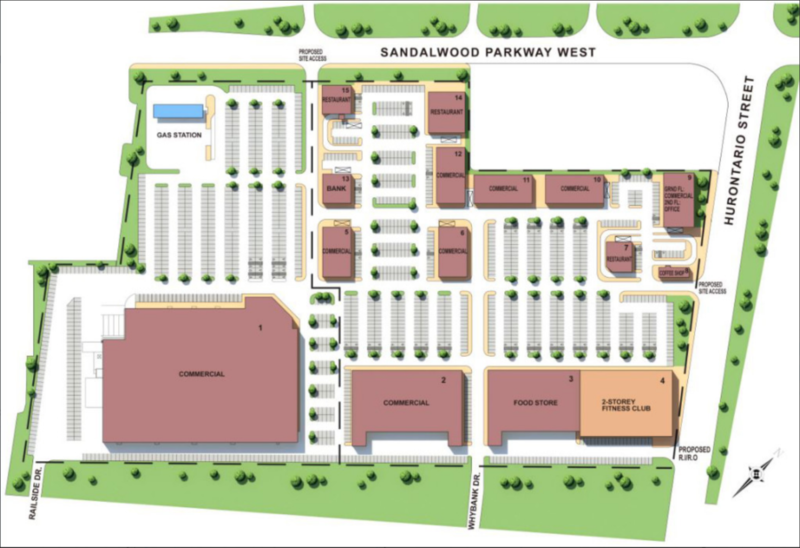 The land is originally for industrial use and is proposed to be converted into a large retail plaza for commercial use with up to 350,000 SF of leasable space potentially. The project has been successfully released at the beginning of 2018.